Considering a Career in Real Estate in Spring Hill or beyond? 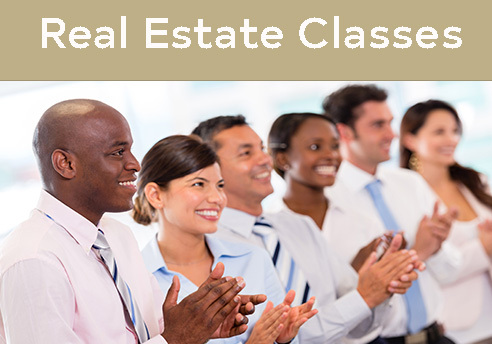 Looking for real estate classes in the Spring Hill or Brooksville area? Real Estate is a bold career for self-motivated, goal driven people. As a Real Estate Sales Associate, you'll enjoy the benefit of being in business for yourself. You will be able to set your own goals, plan the use of your time, create your own business plans, schedule your own vacations and work under your own pressure. Your career will be as rewarding and exciting as you choose to make it. You can take control of your future! Can you imagine the degree of success you can have in real estate when you have the most recognized brand name in the industry behind you? With the CENTURY 21® System, potential customers know the name you represent. It is not only a name but a name they trust. If you are starting out or making a switch from another profession, real estate provides the flexibility and freedom to set your own pace. A real estate career can be as rewarding and exciting as you choose to make it, but the company you work for can make a big difference. For goal-oriented, self-motivated people, CENTURY 21® Alliance Realty is a natural choice. With more than 7,500 independently owned and operated real estate offices and over 108,000 sales professionals in 73 countries and territories. Century 21® Real Estate LLC is part of the largest real estate referral network in the world. At CENTURY 21® Alliance Realty, our success comes from the success of our Sales Associates. We offer a comprehensive benefits package, tailored to meet the needs of the Sales Associate in the fast changing real estate market. Buying or selling a home can be a very complex, complicated process. Our training supports growth and maturity in the real estate office. Our performance-based training will assure that competitive edge. The CENTURY 21® System is also among the leaders in technology. Our innovative technology tools have transformed the industry and have helped to steer the direction of real estate. GET STARTED ON YOUR NEW CAREER – CONTACT US TODAY!